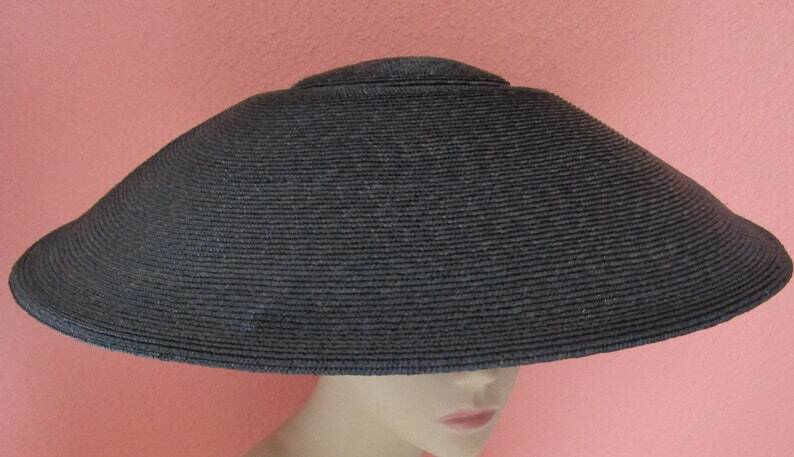 Fabulous vintage platter straw hat from Frank Olive for Neiman Marcus. 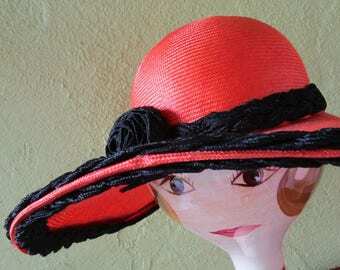 Elegantly simple minimalist shaped in crisp concentrically sewn tiny straw braid, slight color textured. Wide straw bow peeks out underneath back. Inside skull cap base. Two small plastic combs and elastic band to secure. 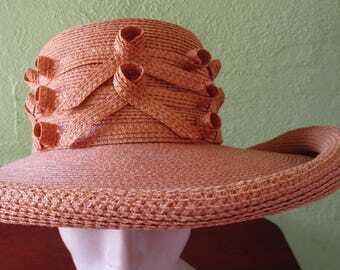 Perfect for outdoor weddings, church, derby, polo, sun, or afternoon tea. Condition: Very good vintage condition, slight wear inside band, slight misshape. See photos. Size: Measures 21-1/4" inside black grosgrain ribbon circumference, 18" inside diameter side to side , 7" brim width at front, 1" tall crown height. Please email for internatl rates and any other questions you may have. I have more photos, just ask!